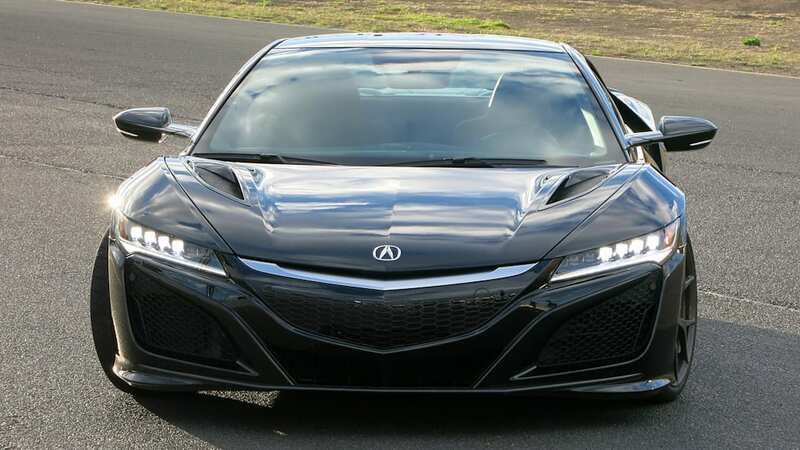 Autoblog rating for the Acura NSX is not available. Please check back later. 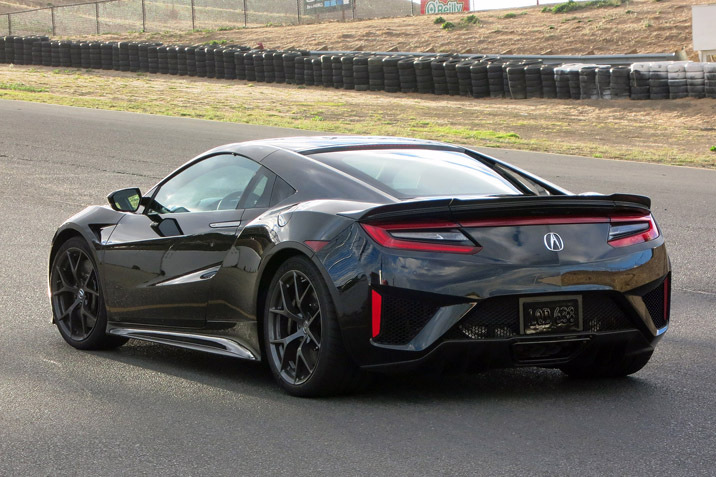 The 2017 Acura NSX is heavy. It outweighs the original 1990 car by more than 800 pounds and is over 300 heavier than a Chevrolet Corvette Z06. 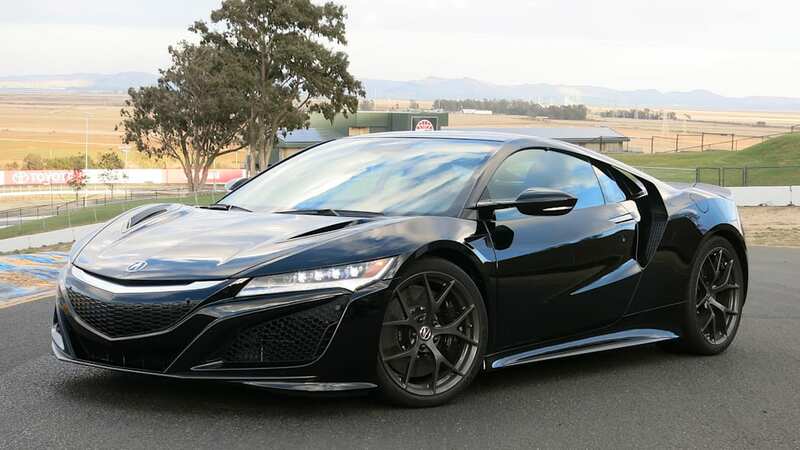 The NSX is insanely complicated, with an assist motor between the twin-turbo V6 and the nine-speed dual-clutch transmission, plus two torque-vectoring electric motors at the front axle. And the NSX is expensive. It will probably cost $170,000 when it goes on sale in Spring 2016. Commence trolling. If you hadn't guessed, the new NSX isn't much like the first generation built from 1990 to 2005. But the two cars share a common philosophy. Both are Acura's interpretation of what a modern, everyday supercar should be. Based on the new car, things have changed a lot in the last 25 years. 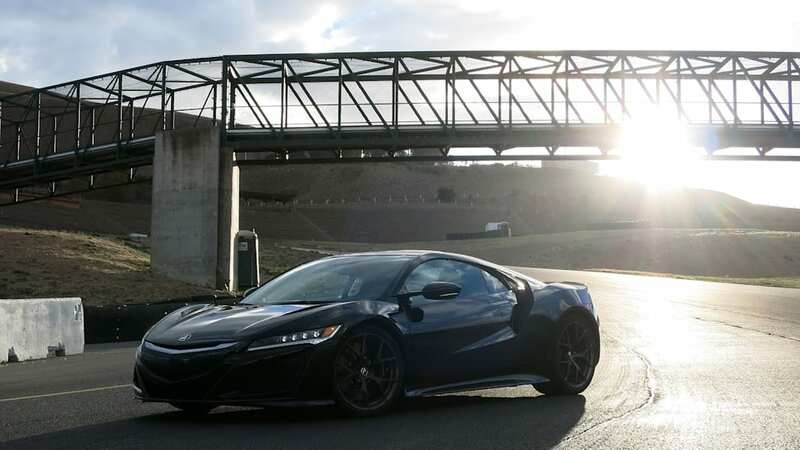 For project leader Ted Klaus, the original NSX was one reason he started working at Honda. At the 1990 Detroit Auto Show, "I sat watching that car for a while. A really long while. Even just looking at that car I could see the deep, advanced, functional beauty." 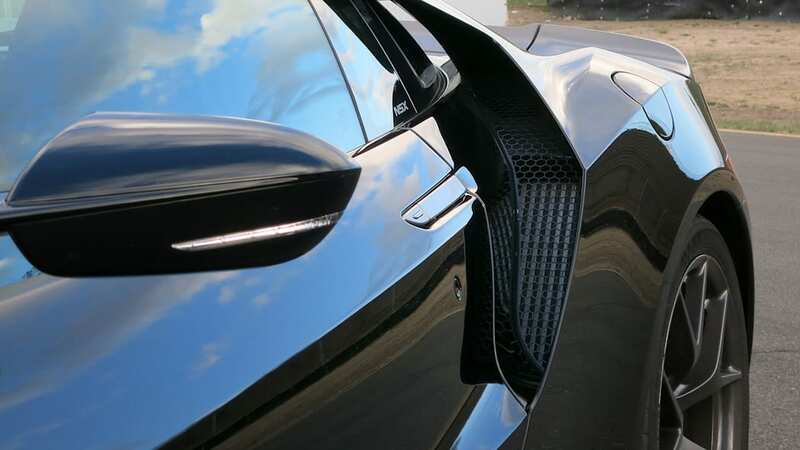 The most difficult thing with the new NSX, says Klaus, is to explain how a heavier and more complicated car can outperform other cars in a way that feels like traditional lightweighting. This is not the way the NSX was supposed to be at first. The original plan was a transverse-mounted, naturally aspirated engine just like the first car. 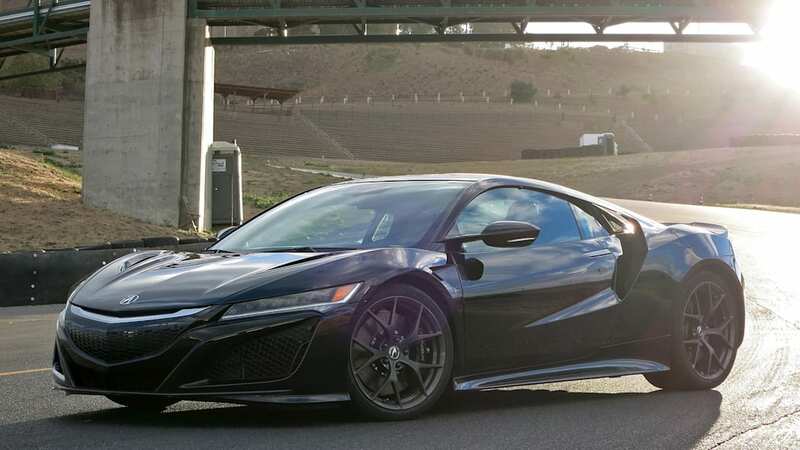 The NSX has a giant bag of neat tricks, but to understand them takes a lengthy explanation that starts with the Sport Hybrid SH-AWD powertrain. 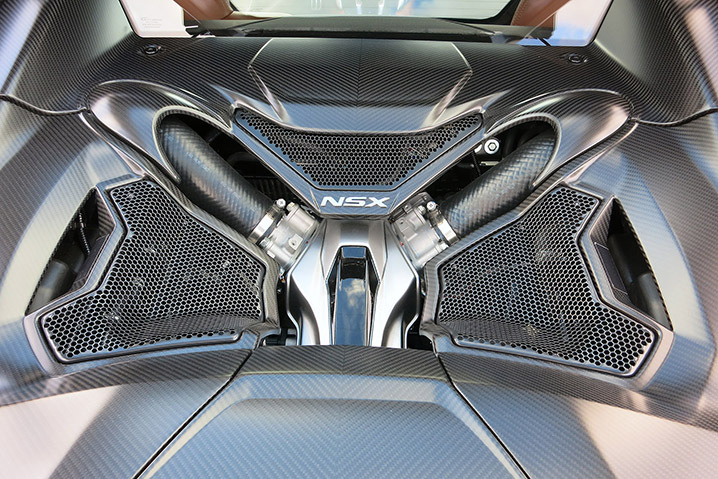 Behind the cockpit is a 75-degree, twin-turbocharged, 3.5-liter V6, made specifically for the NSX. On its own it puts out 500 horsepower and 406 pound-feet of torque. 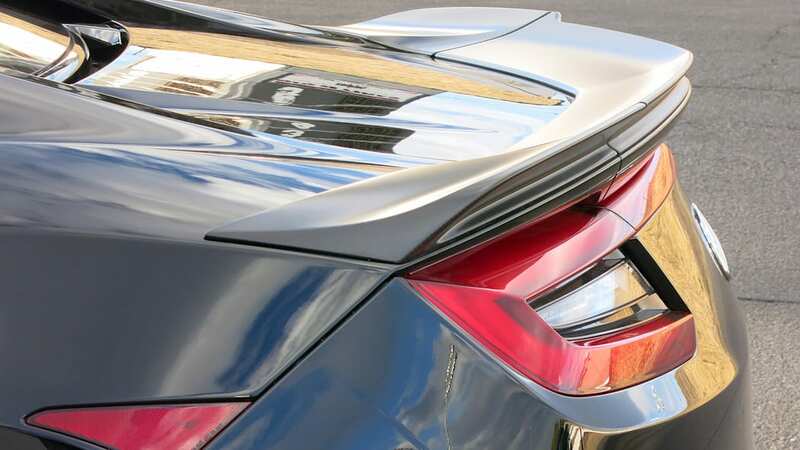 The rest of Honda's lineup uses a 60-degree layout, but the wider angle here lowers the center of gravity. 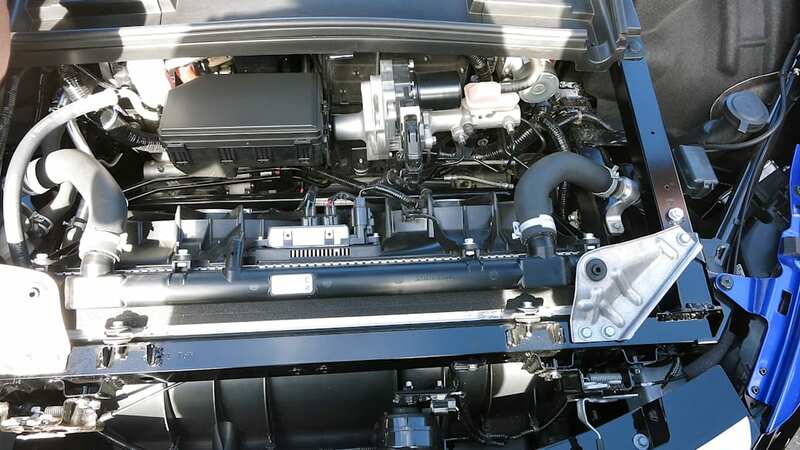 Behind the engine is the rear assist motor, with 47 hp and 100 lb-ft. Hanging off the rear of that is the nine-speed dual-clutch, developed in-house. In between the front wheels is the Twin Motor Unit (TMU), a pair of 36-hp, 54-lb-ft electric motors that add or subtract forces to their respective sides. The Power Drive unit manages the electronics, and sits in the center spine of the car like a traditional prop shaft. A lithium-ion battery pack is behind the pair of seats, on the cold side of the firewall. 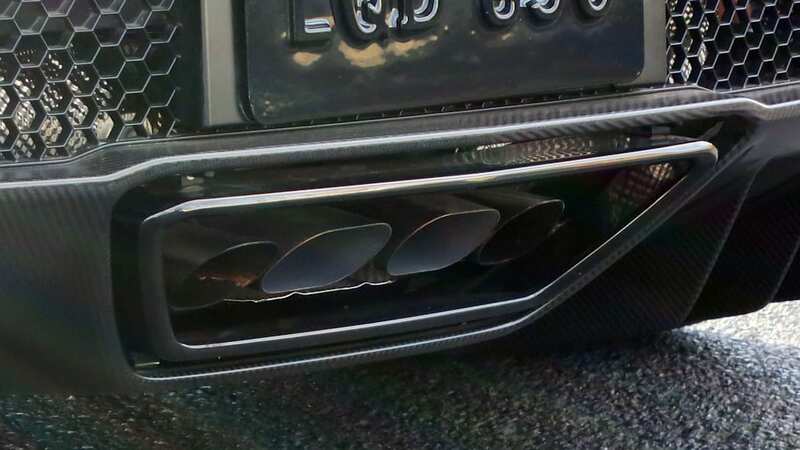 Total system output is 573 hp and 476 lb-ft. This is not the way the NSX was supposed to be at first. The original plan was a transverse-mounted, naturally aspirated engine just like the first car. About six months into the project, the decision was made to switch to the longitudinal turbo motor. The engine change presented a mess of problems. Time was short, so powertrain development went on in Japan while the Ohio-based engineering team worked out the chassis and structure. In other words, they had to work out the cooling and packaging while the cooling and packaging needs were still up in the air. "We were sent back to the drawing board more than once," said Klaus. 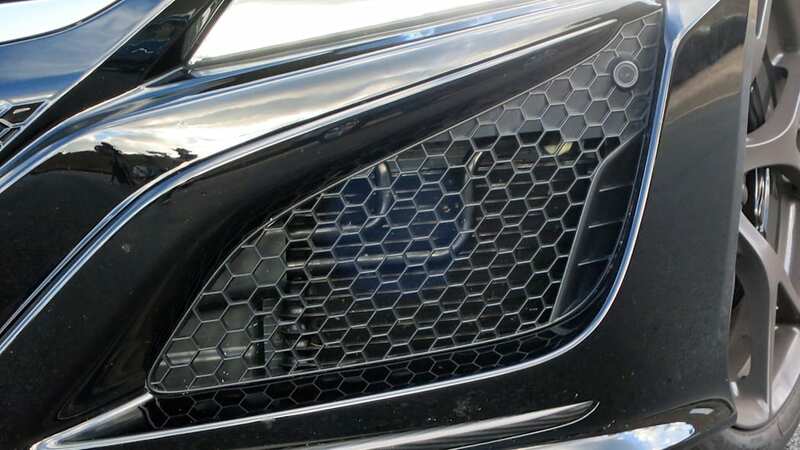 Ablation casting, and stories like how the air channels leading out of the front tire well increased airflow to the intercoolers by more than 65 percent, speak to Honda's reputation for inventiveness. 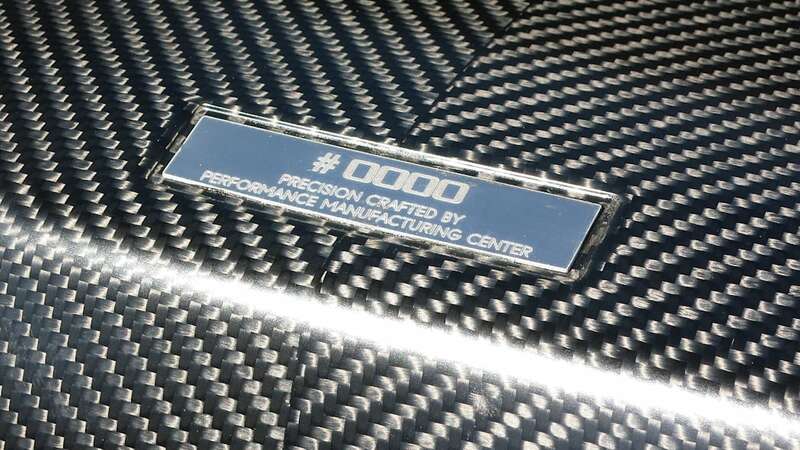 The body is mostly aluminum, with carbon fiber in the roof and part of the floor. Steel stampings surround parts of the windshield and span across the roof. 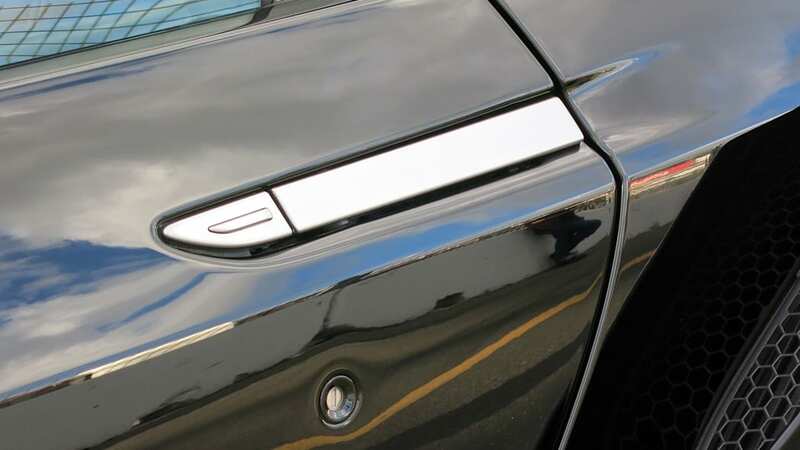 High-strength steel reinforces the roof rail, extending from the base of the windshield to the B-pillar. It's done in a three-dimensional curve that's formed by a robot that twists the beam into shape during the extrusion process. 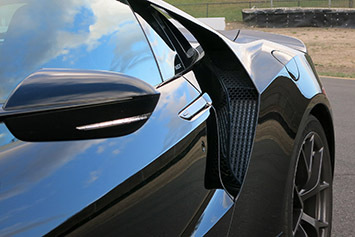 One of the most incredible parts of the NSX is the crash structure, which uses a technique Acura calls ablation casting. It goes like this: molten aluminum is poured into a sand mold, which is then hosed off while the metal is still liquid. Somehow, the metal sets before collapsing like a failed soufflé. The rapid cooling makes for high elasticity and energy absorption. So how's it all come together? At our preview drive in San Francisco and points north, we kept thinking that this really is the Honda of supercars. Ablation casting, and stories like how the air channels leading out of the front tire well increased airflow to the intercoolers by more than 65 percent, speak to the company's reputation for inventiveness. We're fans of the styling. 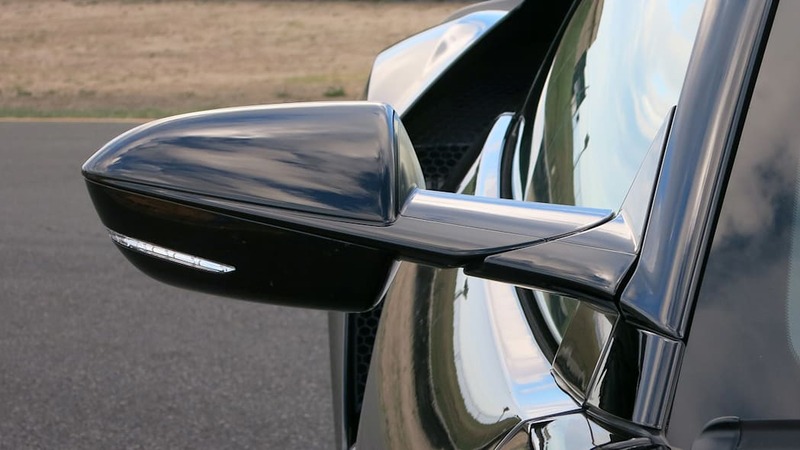 It has high points, like the wide side mirrors sitting on thin stalks, but the new NSX lacks an iconoclastic shape like the original. 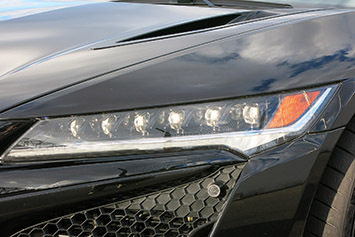 This too is representative of Acura, a company with a lineup of understyled cars that drive well. 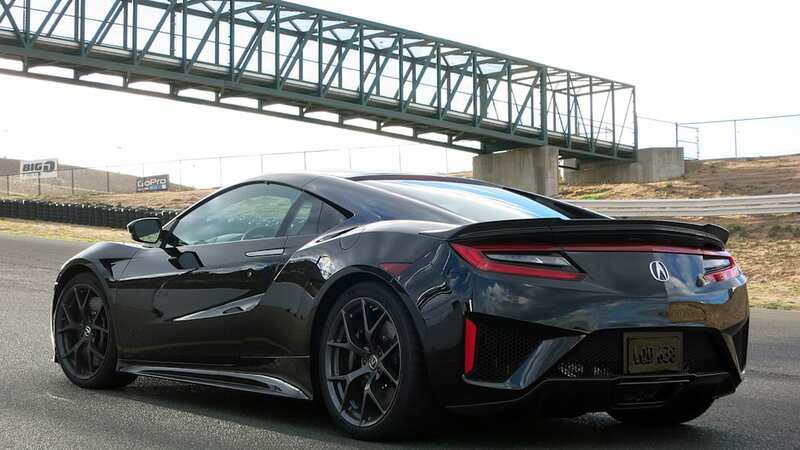 Even parked, the NSX stirs far more emotions than any of its siblings, but it doesn't raise your pulse in the same way that staring at a Ferrari does. 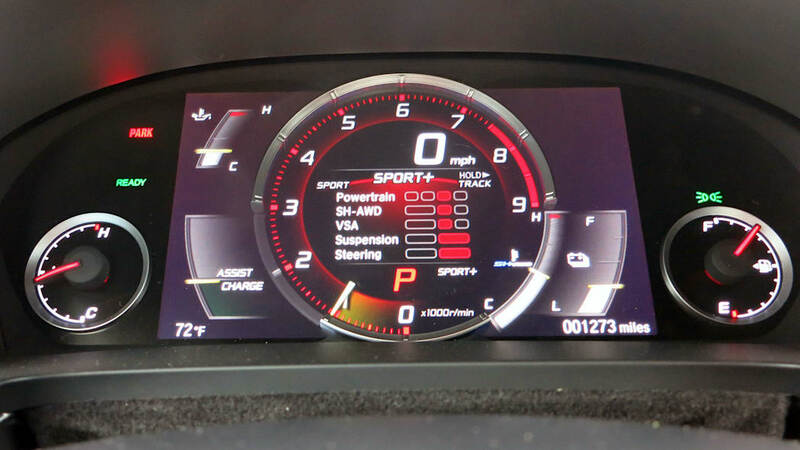 Sport mode lacks the exhilaration you expect from a near-600-hp supercar. It's more like MDX mode. 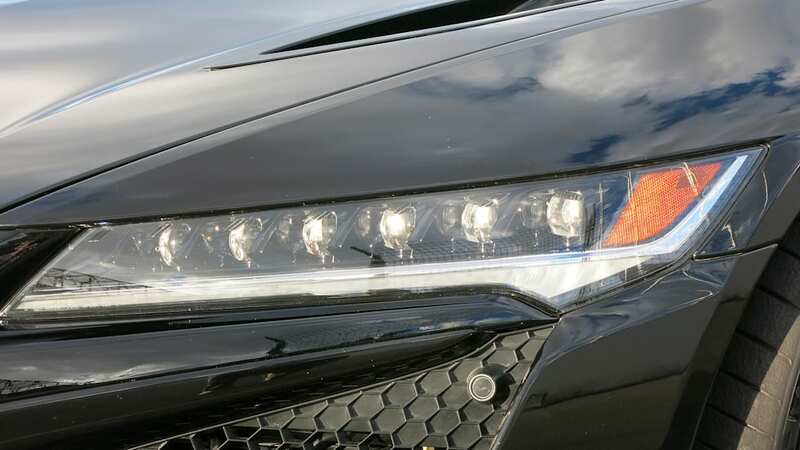 According to Acura, this is by design. The NSX is meant to be the everyday supercar. It's a car that has the lowest center of gravity in its class but still manages the same ground clearance as a standard Porsche 911 Carrera. 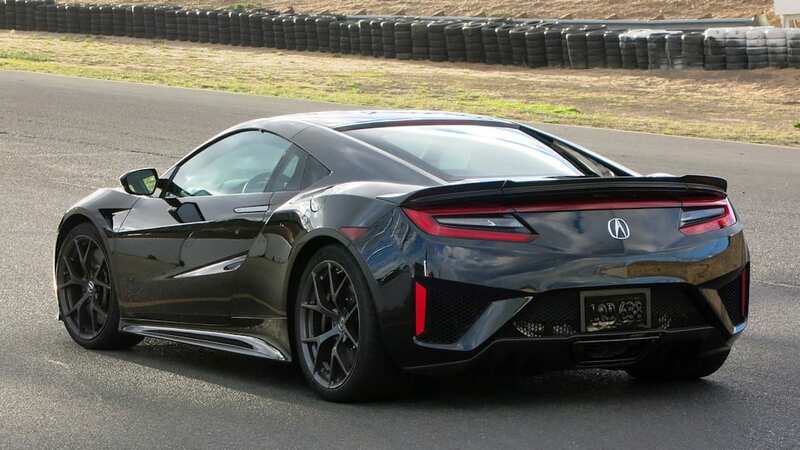 Compared to an Audi R8 or a Ferrari 458 Italia (two of the NSX's benchmarks), the Acura is both more reserved and more responsive. This spectrum of the car's behavior is controlled by the dynamic mode selector in the center console. 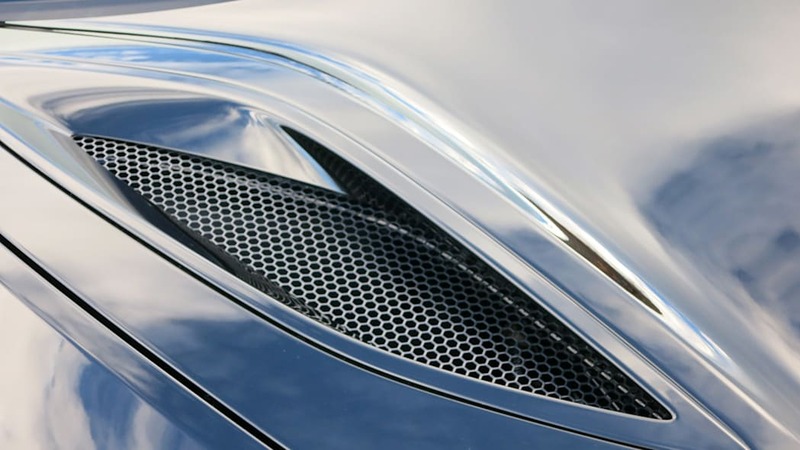 The most docile setting is called Quiet, which keeps engine revs below 4,000 rpm, closes off the active exhaust and engine intake sound pipe, and uses electric power as much as possible. 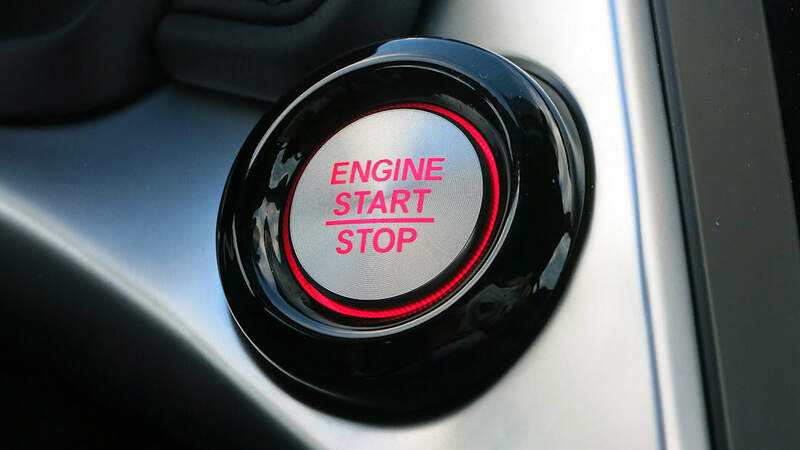 The default mode is Sport, which keeps the start-stop function but allows for more revs and pipes more sound into the cabin and through the rear. Sport+ is one click to the right, and gives the most aggressive throttle and steering response, firms up the magnetorheological shocks, and adjusts the front motors for more agility. 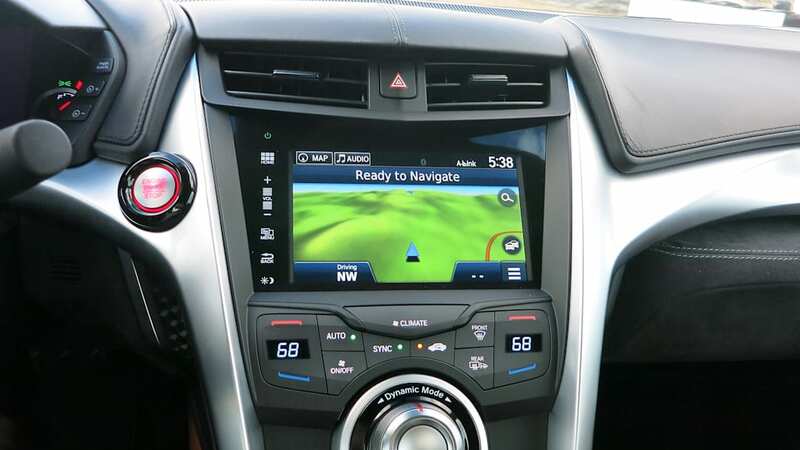 Hold the dial to the right from there and you get Track mode, which also unlocks launch control. (0-60 happens in about 3.0 seconds, but Klaus says that number is "an outcome, not a goal.") 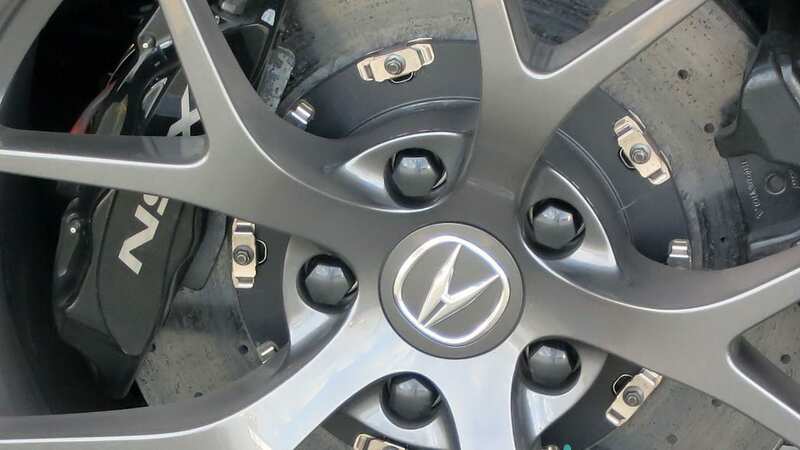 Some of the inputs are smoothed out in this mode for a more consistent feel, while the stability control loosens up to the highest threshold short of full deactivation. 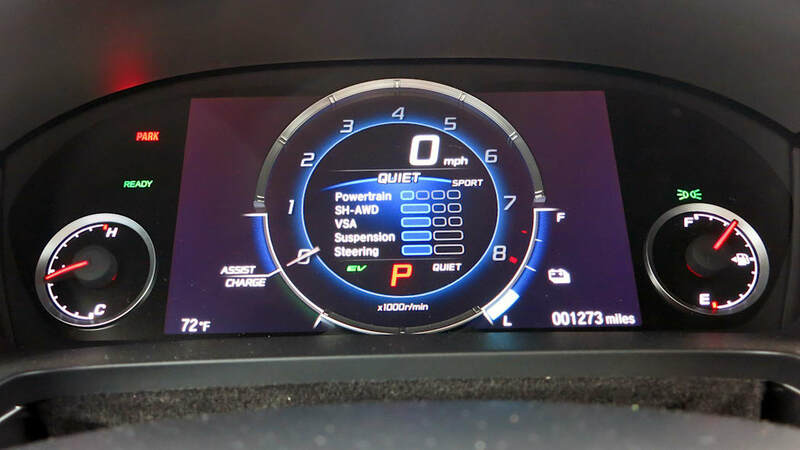 Acura expects Quiet mode to be used about three percent of the time. It's meant for a socially considerate arrival and departure. We disagree, as it's also the eco mode. We saw 26 miles per gallon on the trip computer trundling along in traffic on Highway 1 north of San Francisco. Quiet mode also prompted one dreadlocked northern Californian driving a rusted out 4Runner to ask if the car was electric. "Uh, no, it's a hybrid," we said. "Cool man," he replied, right before cutting in front of us as the light turned green. 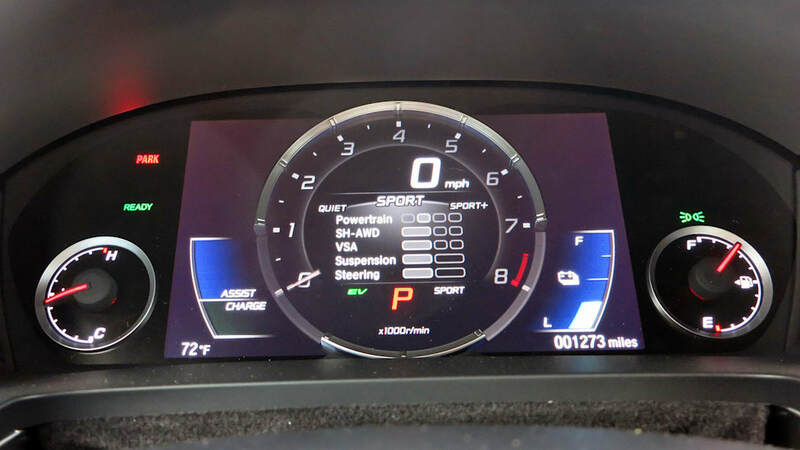 Sport mode lacks the exhilaration you expect from a near-600-hp supercar. It's more like MDX mode. The transmission is quick to grab high gears and there's little sense of excitement. Sport+ and Track are the settings for any fun, with the difference depending on how much of a safety net you want. The NSX is fast. Like, stupid fast. The kind of fast that makes you giggle every time you hit the gas. 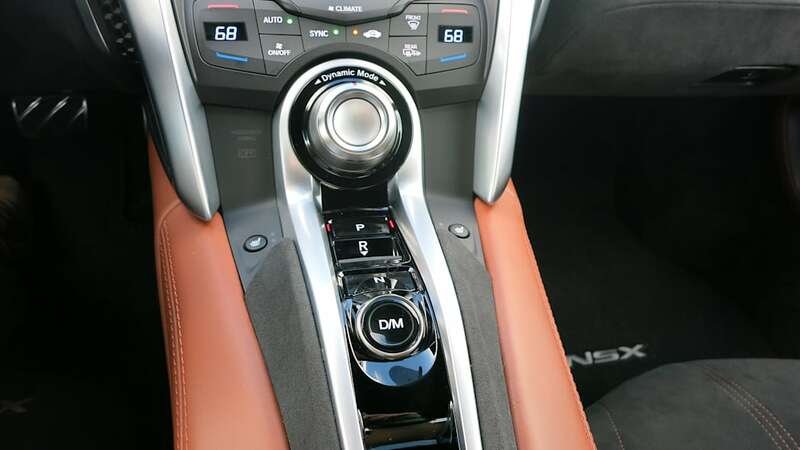 Before we wander off into a dark corner discussing the 15 different attributes adjusted by the four NSX drive modes, let's get front and center with one thing: the NSX is fast. Like, stupid fast. The kind of fast that makes you giggle every time you hit the gas. The kind of fast that makes you think about how the walls at Sonoma Raceway are way, way too close to the track. And dang, the NSX is comfortable. 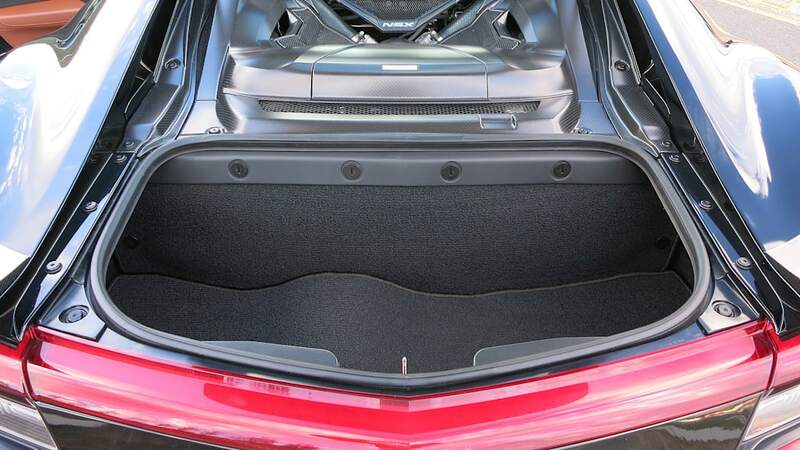 The low floor and long doors make getting in and out slightly gymnastic, but otherwise the interior is hitting the easy button. 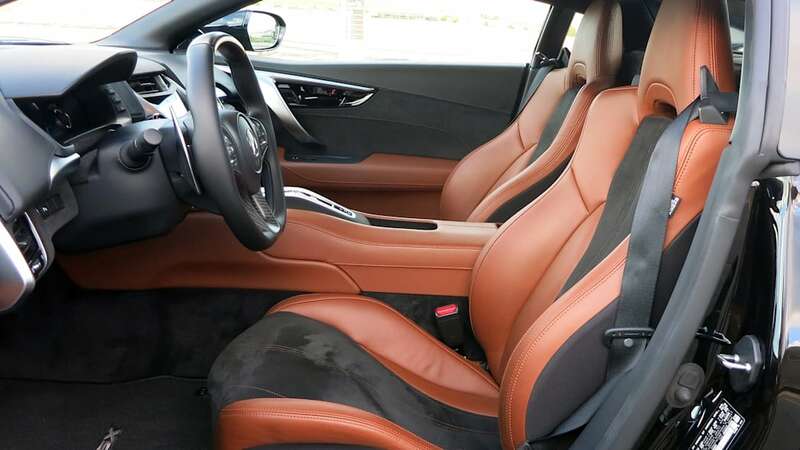 The seat padding is perfect, and a mere four ways to adjust means you can find the perfect driving position easily. 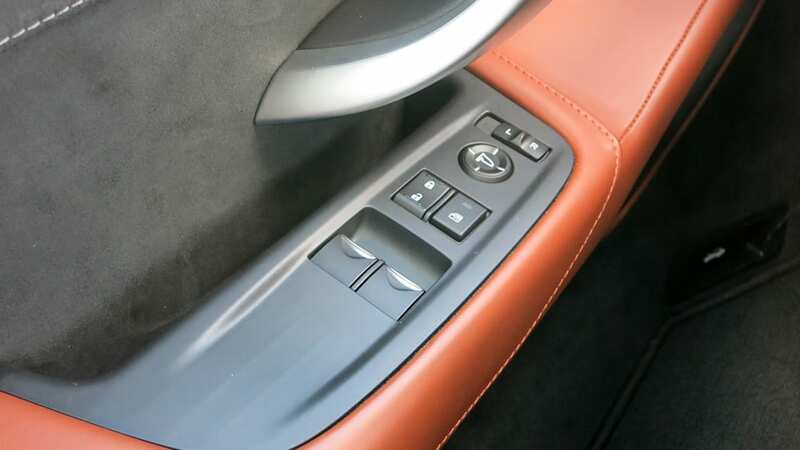 A manual-adjust seat will also be available. 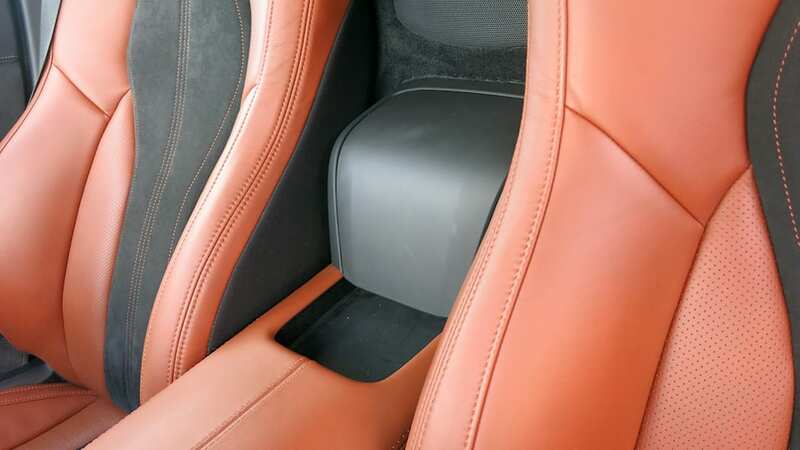 If there's one knock to the interior, it's that there's little storage, and most of it is hard to access while driving. That too is probably on purpose. 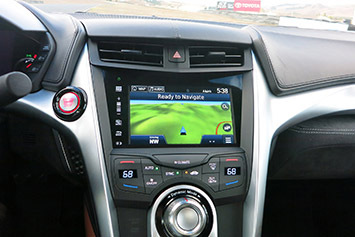 The NSX is not a car for taking selfies while you drive, although the standard navigation radio (the same infuriating dial-free system used across the Honda lineup) features Android Auto and Apple CarPlay. So back to those neat tricks. There are two big ones with the NSX. 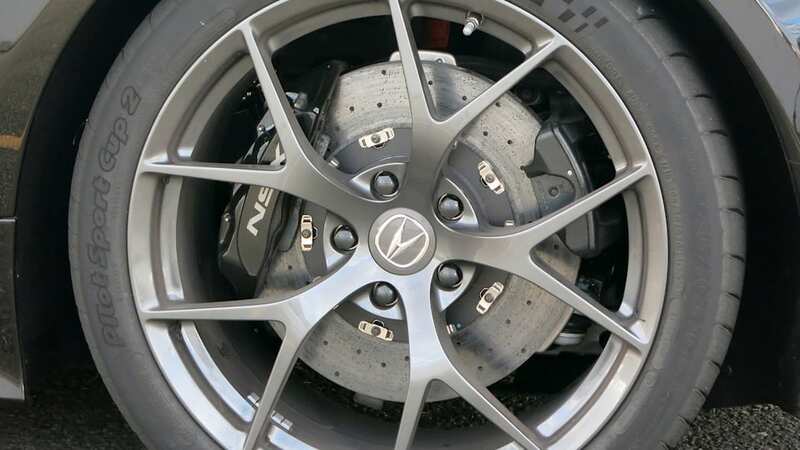 The first is the brakes, which feel like conventional brakes but are actually brake-by-wire (the system defaults to a conventional hydraulic system as a failsafe, as required by the Federal Motor Vehicle Safety Standards). The feel comes from a hydraulic feedback mechanism, which portions out pedal stiffness relative to the rate of deceleration. 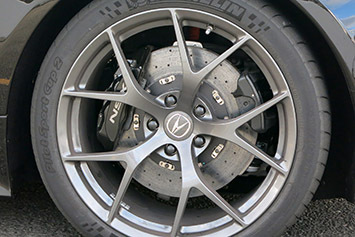 On the other end, a series of valves balances pressure on the friction brakes based on the level of regeneration braking from the TMU and the driver's pedal input. Had you driven the NSX and never read this paragraph, you'd never guess it was a hybrid system. The brakes are that good. The NSX's second trick is seamless shifts. No bumps, no head bobbing, nothing. The NSX's second trick is seamless shifts. No bumps, no head bobbing, nothing. The only clue you have is the change in engine tone. On the track, nine speeds are a lot to manage. We checked the speed of the paddle shifts a few times and, finding it satisfactory, let the computer make most of the decisions – a job it does with near perfection. 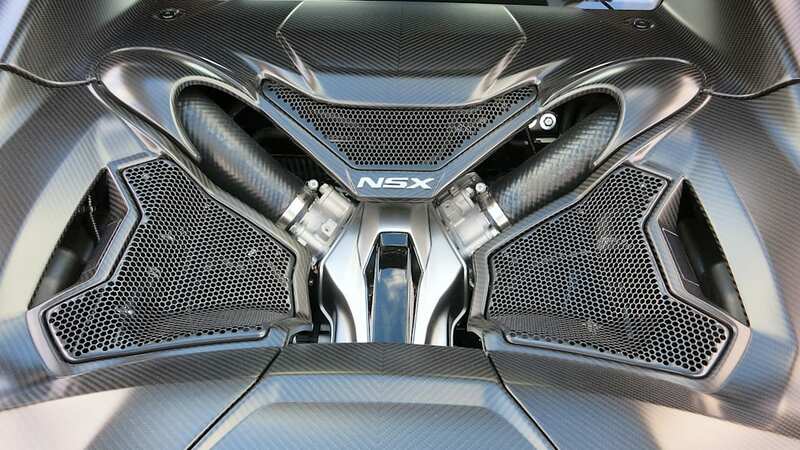 The NSX shifts so smoothly because the TMU kicks in extra thrust during the few milliseconds between gears. 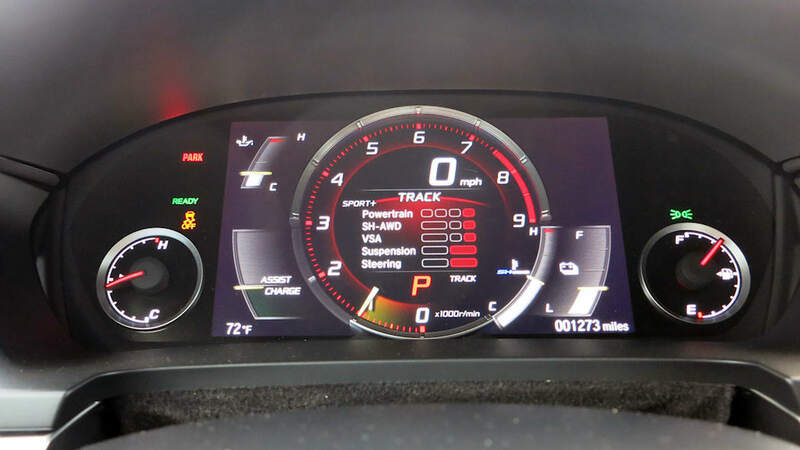 The TMU is also what makes the NSX nimble at low speeds and stable when going fast. 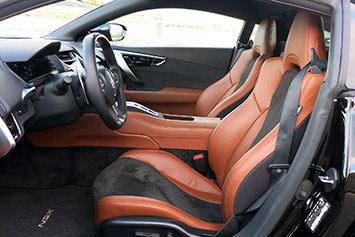 Acura engineers fitted the car with a quick-ratio steering rack because it uses the TMU to slightly counteract steering inputs and smooth out response at high speeds. Like the brakes, you'd never know unless someone told you. 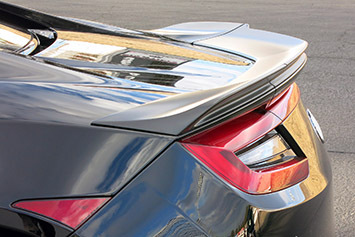 Like a fly-by-wire fighter jet that needs the computer to maintain stable flight, the NSX uses the electronics to pull off feats of handling that are otherwise impossible. 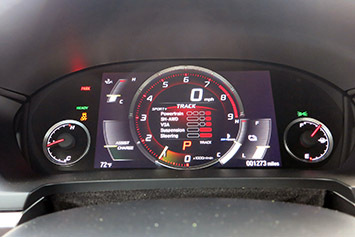 In Sport mode, the car exhibits a soft, friendly understeer. Move to Track mode, and that understeer all but disappears. Klaus says the understeer is baked into the chassis setup, but the SH-AWD can work to make the car behave neutrally. The NSX a unique supercar, from the way it approaches performance to how it goes down the road. Are there compromises? Oh yes. For one, you don't get any steering feedback through the wheel. On our final session around Sonoma Raceway we adjusted to picking up the car's state of grip through our hips. This is not a car that speaks in the traditional sense, and many people will have a problem with that. 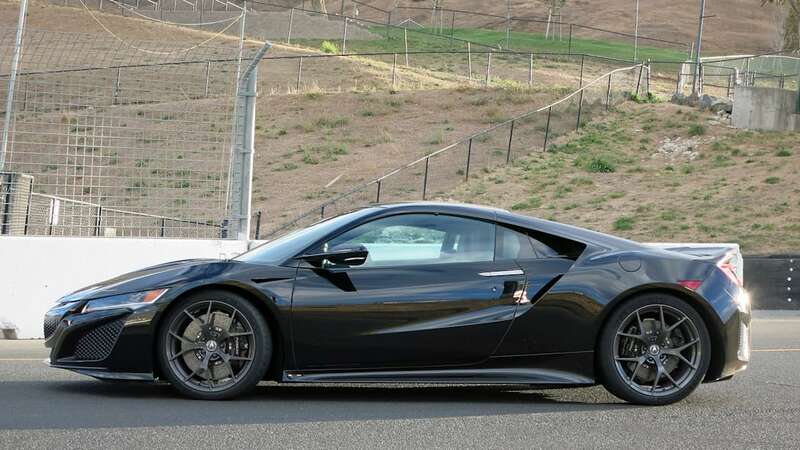 On the other hand, the NSX can do things other cars can't, like cut around a hairpin at speeds that leave other cars plowing in a straight line. Klaus and his team are open about why they made each decision with the car. On our test drive, our car started with the standard Continental ContiSport Contact 5P for the road drive and our first two lapping sessions. After lunch we switched to Michelin Pilot Sport Cup 2s, which are clearly better suited for track abuse. But Acura wanted us to try both tires even though the Contis fall off after a few laps. That kind of honesty is uncommon on press introductions. The NSX is fast, comfortable, and obeys your every command. 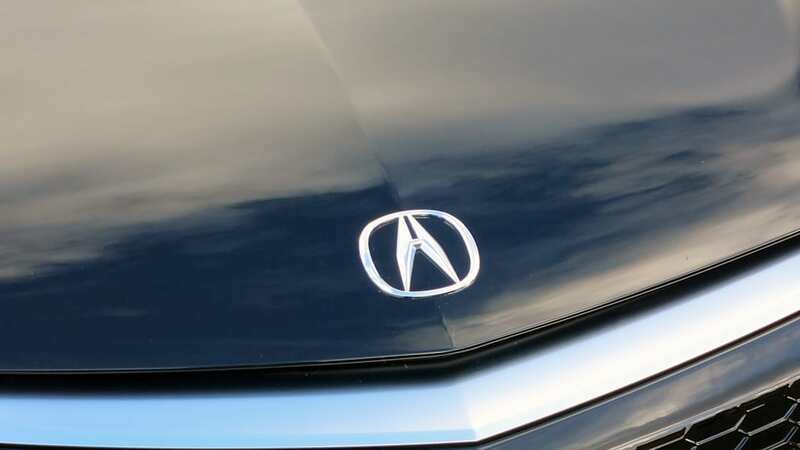 And one thing is certain here: Acura didn't copy anyone. 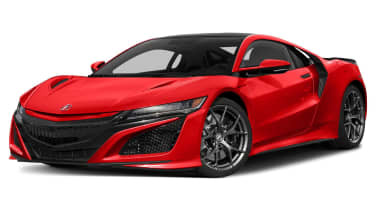 The NSX a unique supercar, from the way it approaches performance to how it goes down the road. And in that sense, it's a true successor to the original.